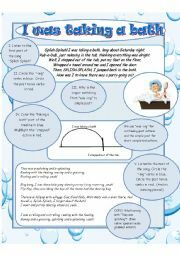 This is a worksheet to accompany the old Bobby Darin song "Splish Splash". It´s for noticing the use of the past continuous in contrast to the use of the simple past. You might follow up with writing a paragraph with a similar story. 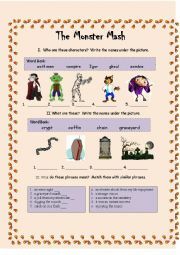 This is a worksheet for practicing the use of "our" and "their". My student asked me for this. 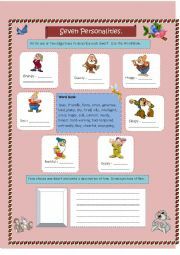 Maybe it will be useful for your students as well. 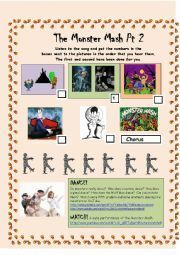 This is a listening activity for the song "Monster Mash." Part 1 has pre-listening vocab. 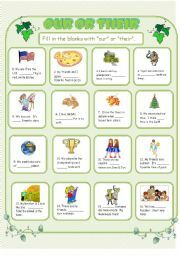 Part 2 has a listen and identify the picture and Part 3 is the song with a circle-the-word activity. 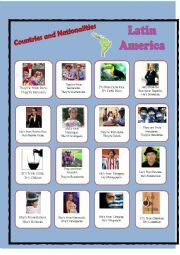 There are also some links to Youtube where you can see different versions and watch people dancing. This is a PET style reading exercise. 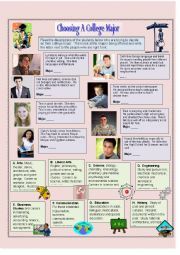 Read about the students and match them with a field of study. The second page has the key. 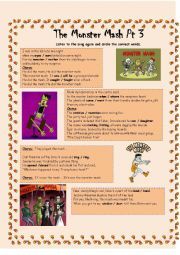 This is to get students to contrast the Past Continuous and Simple Past by storytelling. They use the cues to start telling a story to their partners. Then follow-up by writing the story down. 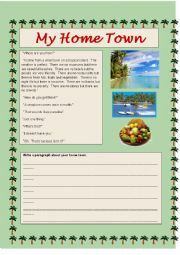 This is a short reader for beginner adults with a twist at the end and a writing follow-up.